When I was growing up in the 1970s and 80s, my great-grandmother, Nana, lived in a small house in San Bernardino, just two doors down from where my Grandma Betty still lives today. 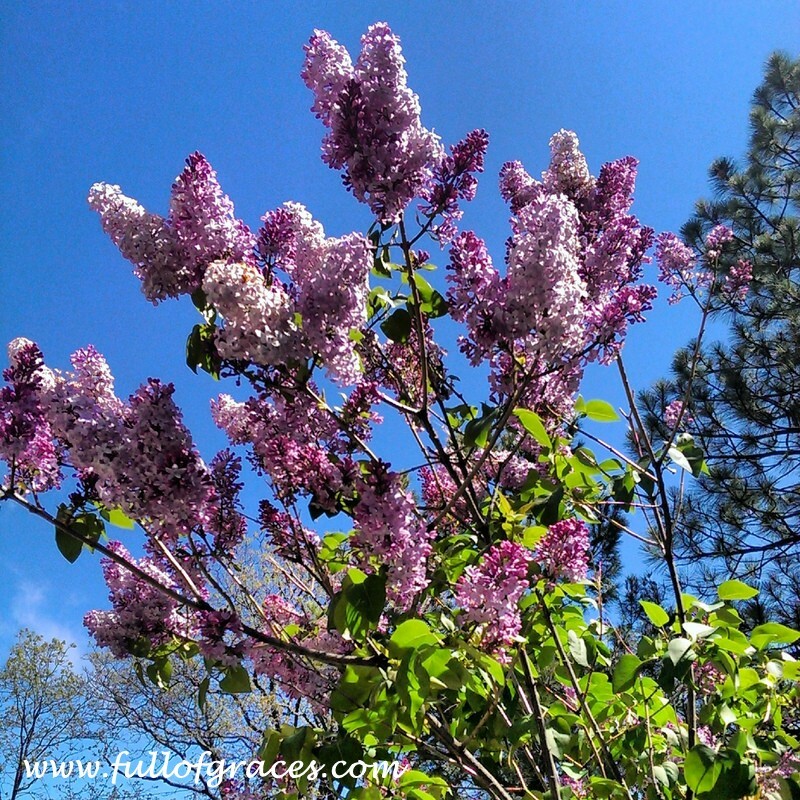 In Nana’s back yard was a big, gorgeous, super-fragrant lilac bush. Every time we came to visit her, we left with something: homemade banana date bread, a lunch sack filled with walnuts from her walnut tree, or when the lilacs were blooming, a bouquet of the delicate violet flowers with a wet paper towel wrapped around the stems, keeping them moist until we could get home and put them in water. Sometimes I would get to keep Nana’s lilacs in my room and I can still remember falling asleep with their sweet fragrance ready to fill my dreams. Fast-forward to 1997 and I found myself living in the beautiful city of Innsbruck, Austria. My first year there, we had a harsh winter with record amounts of snow. So when spring finally made its appearance, it was none too soon for this California girl. I had made good friends with Harry and Renate, an older couple who lived and worked near where I lived, in Ambras, a little village on the outskirts of town. One day, Renate brought me a huge bunch of lilacs from her garden and I thanked her profusely in my broken German. The bunch of lilacs that sit in a vase on top of my refrigerator fill my room with their nostalgic scent. As the sweet perfume encompasses my senses, my mind reels back 20 years. I close my eyes, take a deep breath and remember the feeling of the sand from the sandbox between my toes. I feel the chill of the cold water from the garden hose. I can hear the women’s voices from the kitchen, Nana finally calling me in for lunch. A kiss and a glass of red Kool-Aid greet me. I take three big gulps and I can feel the cold, sweet liquid flow all the way to my tummy. In the folds of her skirt, I find her hand and she leads me into the house. The kitchen is hot but the dining room windows are open and a gentle breeze blows over us. Mom and Grandma are already sitting down as I climb into my chair, taking my place as the fourth generation. In front of me on a deep green glass plate is my lunch of cottage cheese, peaches, jell-o with fruit in it with multi-colored mini marshmallows on top. We finish everything and move into the living room, where the air conditioner blows in. I could turn on the TV. I could play in the bedroom. I could go back outside. But instead I lie in the middle of the floor and listen to the lady-talk. I move from woman to woman, letting each run her fingers through my hair, rub my back, or fan my face. We passed hours this way, and to me, time stood still. Now 20 years later, a continent away, what I wouldn’t give for one more hour. I didn’t know we had lilacs in Austria. I didn’t know one tiny violet blossom meant so much. As my older self, now a mother, re-reads these lines, I think, “I want this childhood for my girls.” Because folks, it was magical. And I remember that it was the little things that touched my heart the most: reading books with Nana, watching the fire in the fireplace reflect in Grandpa Art’s glasses, wrapping up in Grandma Betty’s robe on a chilly morning after I had spent the night, listening to the Beach Boys in Mom’s Trans Am, building bookshelves with Dad. No tutu photo shoots. No themed birthday parties (although my 9th birthday party at Mc Donald’s was pretty freaking rad). Not that there is anything wrong with those things. 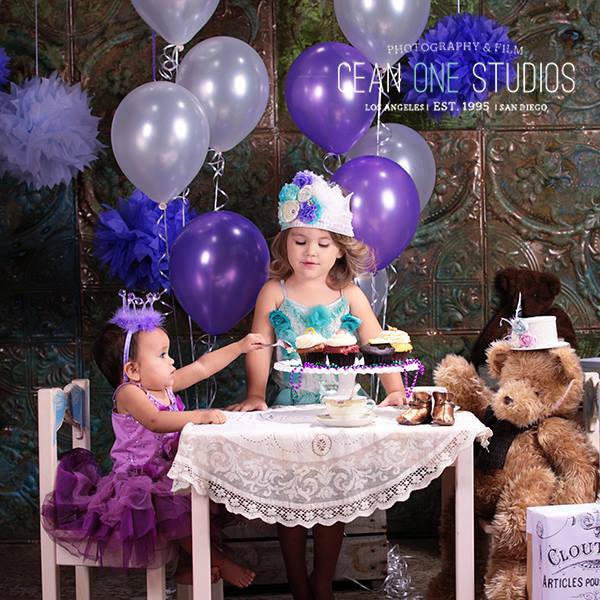 Trust me, my girls have had some pretty awesome photo shoots. But I’m going to be honest. Those things are for me. I want to see them in tutus around a little table with a vintage tablecloth and silver spoons and cupcakes! But what my oldest really wants to do is, “go to Grammie’s house and play on the bed.” Childhood is magical, not because of the big moments that we create for our children, but because of the everyday love that they feel. I want them to remember picking up tacos at Baker’s and taking them to Grandma Betty. I want them to remember swimming at Grandma and Grandpa Light’s. I want them to, someday when they’re off at college, smell orange blossoms and remember picking oranges with Grammie and Zha-Zha. I want them to remember dance parties in the kitchen with Mommy, and planting veggies on the “Fulwider Farm”, because those are the moments that I will always hold dear in my heart. And maybe the tutu tea parties. Thank you! And I don’t mean to say that those other things are bad, but I think it’s the day to day stuff that we cherish the most. So beautifully written, Dana! Brought tears. I noticed that Cean One took the pictures of your girls. Very special. He took the wedding pictures for me and Don!! February 1, 1992. What a beautiful picture and lovely story! If only I had a girl I would have had a tutu party for sure! I was a ballet dancer and did get to wear them a few times performing; it’s an amazing dream come true. Lilacs are truly my favorite, we don’t get them here in SoCal but every once in a while, they florists will have flowering branches and I can’t get enough of them. Growing up in Detroit, they were my all time fave in the garden along with forsythia and lilies of the valley. I planted a lilac bush last spring but it didn’t ever bloom, then eventually bit the dust. And you’re right, they aren’t often at the florist or farmer’s market. I bet Nana’s house still has the bush… I should hop the fence and grab a bunch! And oh, how I love forsythia, too! So touching, makes me miss my grandparents! Memories like these are so special and always so unique, I love reading about them…keep ’em coming! Love this. Hope my grandkids have memories of me like this.